One of this year's film that has maintained a fervent following even five months after it was released is Wes Anderson's Moonrise Kingdom, a quirky coming-of-age love story about Sam and Suzy on New Penzance in the summer of 1964. A couple of my friends dressed up as Sam and Suzy for Halloween, and I've admired the endless fan art posted online made by those who fell in love with the film's indisputable charm. Focus Features, in hopes of getting some Academy Awards acclaim, has turned to the fans to design "For Your Consideration" Oscar ads with a chance to win money and have the art actually used in their ad campaign. The official Tumblr site includes a message stating: "Thank you! 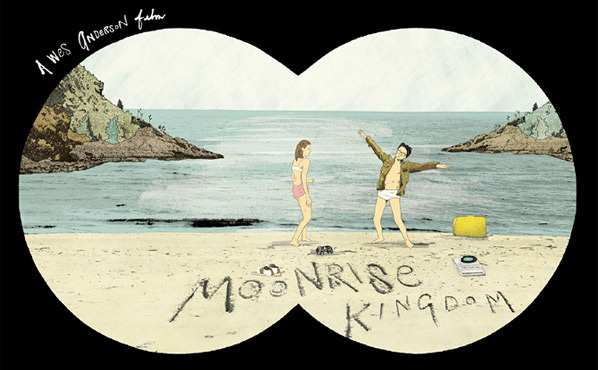 You helped Moonrise Kingdom become the sleeper hit of 2012. 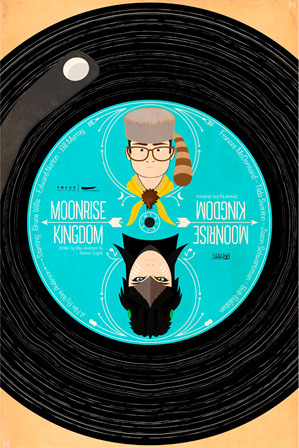 Now you're invited to help us get Moonrise Kingdom the attention and recognition it deserves by designing a 'For Your Consideration' print ad that sums up what you most love about the film. If chosen your ad could be integrated into our award season advertising efforts alongside ours and you could win $500." They include a link to a starter kit with logos, photos and references, and details on how to submit your entry. Once you're ready, all submissions can be sent in here: moonrisekingdomcontest.com. 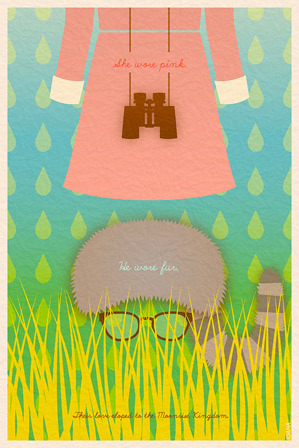 Wes Anderson's Moonrise Kingdom, his seventh feature film, was filmed on an island in New England. It recounts a tormented and surprising story of children and adults during the stormy days of the summer of 1965 (watch the trailer here). The cast includes: Edward Norton, Bruce Willis, Bill Murray, Tilda Swinton, Frances McDormand and Jason Schwartzman as well as Kara Hayward and Jared Gilman playing the two young lovers. Focus Features originally released the film in limited US theaters on May 25th this year, after first premiering at the Cannes Film Festival. The indie film has earned $45.5 million at the box office so far. 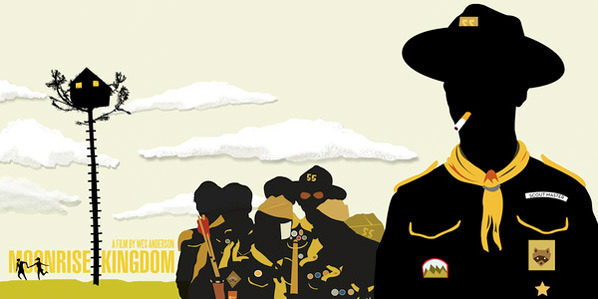 Those are a few of my other favorite Moonrise Kingdom / Sam & Suzy fan art pieces from around the web, as curated by my friend Marc Vibbert, who considers Moonrise Kingdom (currently) his favorite film of the year. So many great bits of artwork that should inspire you, and everyone, to come up with some of the best "For Your Consideration" ad campaigns we may ever see. We can only hope! Is anyone going to submit? Yea! One of the best of the year. Get 'em some gold! !